Safety Power Inc. (SPI) was incorporated in Ontario, Canada in 2005 and is a privately held company with a focus on providing world-class clean technology for large scale diesel and natural gas internal combustion (IC) engines. Safety Power serves its customers through major OEM engine distributors and an extensive network of leading Consulting and Environmental Engineering firms. Safety Power has strong in-house engineering, research and development competencies and has developed leading-edge technologies with a focus on CO, NMHC, and NOx emissions reduction. Safety Power provides turnkey solutions that include Selective Catalytic Reduction (SCR) for NOx emissions, plus Diesel Particulate Filters (DPF) and Oxidation Catalysts (DOC) for reduction in accordance with Tier 4 Final (T4F) emissions standards. We also provide installation services and on-going support that allow diesel and natural gas engines to be operated and tested without restriction, while minimizing the impact on the surrounding environment. If you have any questions about any of our products or solutions, including NOx emissions reduction or any of our filters and catalysts, please feel free to contact us and we will get back to you as soon as possible. To learn more about how Safety Power can help your diesel or natural gas engines meet emission requirements please contact us. We look forward to working with you. SPI’s sales and operational activities are led by the President & CEO, Robert Desnoyers. 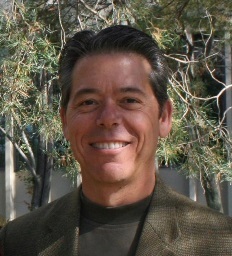 Robert co-founded Safety Power Inc. (SPI) in May 2005. Since being with SPI he has secured significant installations at major North American sites such as TD Bank, Royal Bank, Ford Motor Company, Pepsi, Ericsson and many other locations. Previously, Robert was President of a major district energy facility which had a base of natural gas engine generators. While there Robert was responsible for the development of the Combined Heat & Power district energy system, which services several million square feet of commercial and public facilities in a major North American city. Under Robert’s direction, his Company was successful in responding to an RFP for 300MW of Renewable Energy and was awarded a contract for a bio-gas combined heat and power facility at the city’s wastewater treatment facility. Prior to joining the district energy facility, Robert spent nearly 20 years with a major North American city in a number of engineering and management roles related to facility and real estate asset management. Robert’s last position with the city was as Director of Facilities & Real Estate where he was responsible for the management of over 700 facilities and 1400 properties worth several billion dollars. Robert served in the navy as a Marine Engineer and is certified as a Mechanical Engineering Technologist. Robert is a college graduate in Business Management and Building Environmental Systems Operations & Design. He has over 25 years experience in the asset management industry with a particular focus on energy management projects and alternative energy. Bob Stelzer is CTO of Safety Power Inc (SPI). While at SPI, Bob has worked with the engineering team to design the Company’s ecoCUBE® and ecoTUBE® product families for air emissions control for on-site power generation. As a result of this activity, Safety Power has registered several patents for components in SPI’s innovative emissions technology. Prior to SPI, he worked for a leading global manufacturer of industrial controls and electronics with global sales exceeding $500 million. While there he obtained a global mandate for the design and manufacture of industrial power supplies and inverters which resulted in significant global sales. Thereafter he was promoted to serve as President of the company’s Americas Region which included the US, Canada and Mexico. Prior to the above employment, he worked for Honeywell where he led a team that developed advanced control technology using one of the world’s first applications of real-time non-linear optimization. This software is now used by global oil refineries to produce over 50% of the world’s supply of gasoline, diesel fuel, jet fuel and other hydrocarbon products. Bob is on the University of Toronto Engineering Industry Advisory Board and is on the Board of the Ontario Chapter of the AWMA. He is a Professional Engineer with a Masters Degree. Safety Power is a Global Innovator in large engine & emissions control system technology. Our equipment is used by many high-profile corporations to provide CO, NMHC, and NOx reduction and control for large engines. Our focus is to offer value to our customers by meeting their local regulatory requirements with the smallest possible footprint, the lowest possible on-going cost and an attractive initial capital cost. Our NOx reduction products are designed with regulatory systems in mind and to help ensure that your operations stay safe and efficient. Our products are calibrated using some of the world’s most sophisticated engineering tools, but our emphasis on technology exists solely to maximize value for our customers. In addition to having highly competitive products today, we have an aggressive product roadmap to ensure that we continue to be a Global Innovator in large engine NMHC, CO, and NOx reduction and control. President & CEO of Etratech Inc.
Michael is currently the President and CEO of Etratech Inc., headquartered in Burlington, Ontario, Canada. As one of the founding partners in 1989, Michael has taken the company from its initial entrepreneurial start-up to a global presence in the design and development of electronic controls and control systems for leading OEMs around the world. With over 100,000 sq. ft. of production space, 500 employee’s worldwide and annual sales approaching $80 Million, Etratech has and continues to be one of the leading Electronic Design and Manufacturing companies in Canada. Michael is a graduate of the Computer Electronics Engineering Technology program at Mohawk College and most recently was selected for the Mohawk College Alumni of Distinction Award in Technology. He has twice been nominated for the prestigious Ernst & Young Entrepreneur of the Year awards and was selected as one of the country’s most promising entrepreneurs to participate in the Richard Ivey School of Business, Quantum Shift Program. Actively involved in the community, Michael is a member of the Burlington Economic and Development Board of Directors, Chamber of Commerce Roundtable for CEO’s, the EMC CEO Strategic Interest Group, numerous charitable fundraising campaigns and has received several community awards in recognition of his efforts. 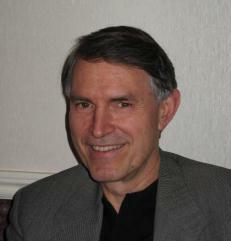 Ralph Dunham spent his early career with IBM and several other technology & training companies. 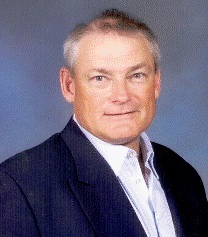 Ralph became President of Continuum Planning, an IT consulting firm with expertise in the area of Business Continuity. Ralph was responsible for the growth of the company from a “start-up” to a pre-eminent position in the marketplace. The company’s success was recognized when it was purchased by IBM. After working with IBM as a consulting practise leader, Ralph launched Marsh’ Canada's consulting practice and managed its growth for 5 years. As a result of his consulting experience Ralph has an extensive network of senior contacts throughout industry and the public sector. Ralph has guided several start-up organizations through periods of rapid expansion and has senior level marketing experience in a variety of industries. Ralph has a Bachelor of Math Degree (Computer Science) from the University of Waterloo. Doug has 34 years of North American entrepreneurial, manufacturing and managerial experience in the power industry. He has started a number of successful manufacturing businesses throughout Canada and the US markets, engineering and manufacturing stationary and prime generator power systems and emission control products for clients such as; Caterpillar Engine Company and General Electric, the largest being a transportable 10 MW system for Georgia Power a subsidiary of Southern Company. Doug incorporated TerraGen Environmental Group Inc. in 2009 to engineer and construct Commercial Solar Power generation facilities throughout North America with an initial focus on the Ontario Market. He has managed and directed his team installing more nearly 4.5 mw of Industrial roof top and ground mount systems in the Ontario market. He has travelled throughout Europe and China researching the latest technologies and developing strategic relationships across the global solar market supply chain. In 2010 Doug started an associated company, Icon Solar Installations Inc. focusing on the residential and agricultural roof top solar markets. He is a graduate in mechanical engineering from The University of Toronto and is a Professional Engineer registered in Ontario. Safety Power provides emissions control in accordance with highest standards, including Tier 4 Final emissions protocols and Euro VI. The inspiration behind the establishment of Safety Power was the fallout from one of the largest electrical blackouts that North America had experienced in more than four decades. 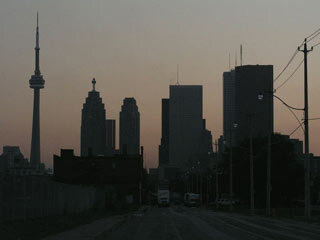 At approximately 4:00 p.m. on Thursday, August 14, 2003 a widespread power outage crippled huge areas of Ontario, Canada and the northeastern United States. Industry, government and transportation ground to a halt. In some jurisdictions the outage lasted for several days. The weather was extremely hot during the outage. Few commercial facilities and fewer hospitals had air conditioning systems powered by their emergency standby generators. Many of the diesel and natural gas generators installed to provide a backup source of power failed to operate due to a host of maintenance related reasons. Emergency agencies in New York City and Toronto reported more than 900 elevator rescues in buildings where the backup generators failed to start and power the elevators to safety. Power started returning to pockets of Southern Ontario and parts of New York State within 24 hours, but the enormous blackout that struck the region raised many issues about the integrity of the electrical infrastructure including the emergency standby systems meant to mitigate the impact of grid power outages. Many of the standby engine based generators did not operate because they were not adequetly tested. Facility owners were reluctant to test these units because of complaints about air emissions. Following incorporation in 2005, Safety Power quickly positioned itself as a global innovator in the development of technologies that have resulted in a line of state-of-the-art emission control products that meet or exceed emissions limit requirements from the strictest regulatory authorities in North America - US EPA Tier IV Final emissions control, ONT MOE EBR 010-2463, CARB etc. From the beginning, Safety Power's vision was to develop a clean technology solution that would allow owners of large scale diesel and natural gas engines, which are typically being used in standby power or distributed power applications, to operate the engines more frequently under load conditions without facing operating restrictions imposed on them by the regulatory authority. Regular testing and operation of these engines results in improved reliability and fewer issues than those experienced during the 2003 blackout. Within its first year of operation, Safety Power installed a full-scale prototype for a megawatt class diesel generator set to demonstrate the emissions control technology and generator dispatching capabilities to key stakeholders including Ministry of Environment, major engine manufacturers, Ontario Power Authority, Independent Electricity System Operators, local municipal government and utilities, and commercial property owners represented by BOMA. Following a successful launch of the prototype, Safety Power began engineering emissions control solutions to reduce the harmful exhaust emissions that previously prevented the use of standby diesel and natural gas engines for non-emergency use. Owners of these assets now have a proven solution that gives them the option to consider utilizing their diesel or natural gas engines for revenue generating programs such as Demand Response or to simply manage their own electrical peak demand or to implement risk mitigation strategies such as storm avoidance operation. Working closely with world class colleges and universities and by employing a core group of talented, highly skilled engineers, Safety Power has developed a highly effective product architecture utilizing computational fluid dynamics and model-based control that has resulted in a state-of-the-art emissions control solution for many applications and in accordance with highest standards, including Tier 4f emissions protocols. Safety Power's emissions control systems are achieving performance levels not previously realized in the industry within a compact, low cost, highly configurable platform. This winning combination of attributes along with Safety Power's strong commitment to continued product innovation, research & development and talent recruitment ensures that Safety Power will continue to be a Global Innovator in its served market.